Film fans, listen up! For months, we’ve been patiently waiting for the title of the hotly anticipated new Spider-Man movie to be revealed. And now it’s finally here. 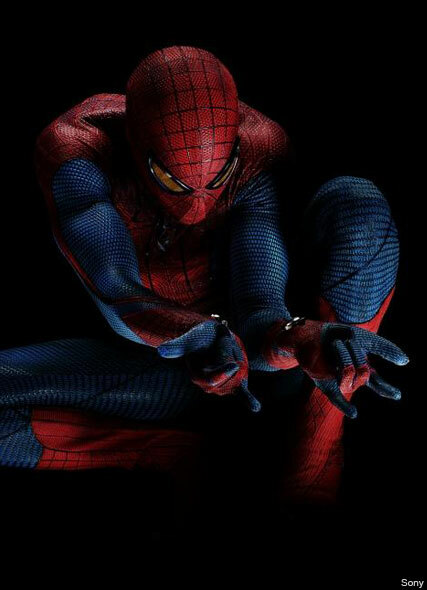 Spidey will soon be back in the fourth action movie, titled The Amazing Spider-Man. SEE ALL THE LATEST SPIDER-MAN MOVIE PICS HERE! And that’s not all. Along with unveiling the movie’s new name, bosses also released a brand new snap of the super hero, in his seriously slick Spider-Man suit. It’s thought the film will look at Spider-Man’s younger years, with English actor Garfield replacing Tobey Maguire as the lead. It’s also been announced Rhys Ifans will play the film’s evil baddie, while Superbad star Emma Stone is set to play action hero’s crush Gwen Stacy. The Amazing Spider-Man movie hits screens in July next year. Are you looking forward to Andrew Garfield’s new Spider-Man movie? Let us know your thoughts in the comments box below.